I recently had this MIJ jazz upgraded with Nordstrands at the renowned Guitar Repair of Tampa Bay shop. I believe it's an 1987 model, and the white has aged beautifully. Includes a lightweight Kaces Case. Excellent condition with little wear. Includes ashtray. It sounds and plays amazing. $850 shipped to Conusa. I'll do a limited number of int'l locations - PM me. Do you live in Tampa? do you acept trades??? Thanks. Unfortunately no trades. I need to thin the herd. Hi. Any pics of rear of bass, neck, headstock? Travel alert - I'll be away from home starting 5/17 and will not be returning until 5/31 so will be unable to ship during that time. 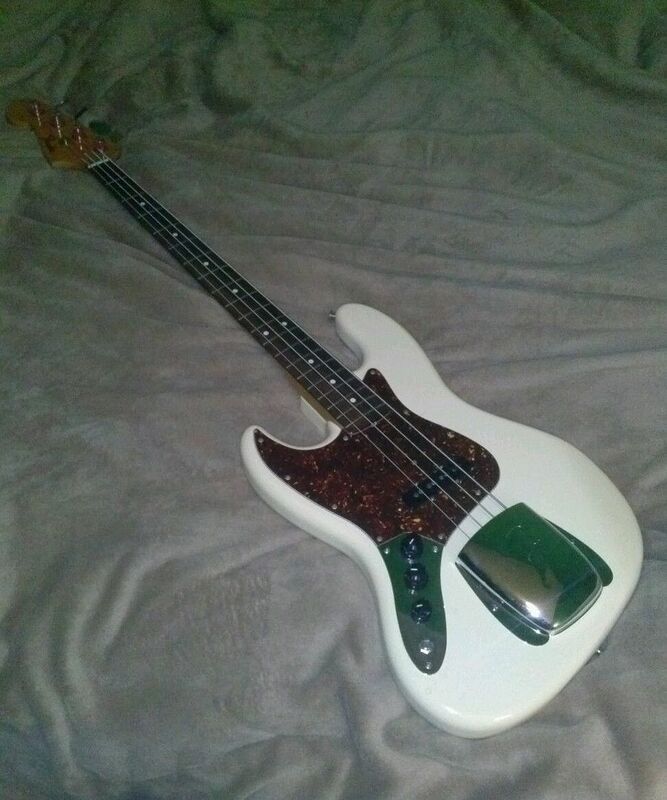 Beautiful bass at a great price! Very tempting specially because it's white, not 3 tone sunburst or black like most of them out there! And it's got a tort guard! I am putting out a trade feeler for a 5 string. G&L L2500 or Carvin SB5000/XB25 or something similar. Photo of back with S/N. hey, im interested, pmed you. Still for sale. Message me if interested.